The rain, the pouring rain, when will it stop? The world famous Croisette has seen a deluge of wandering bodies and torrential downpours. This is not the image of a permanently sunny Cannes one has imagined. I’m told the Mediterranean is out yonder, somewhere beyond the mist and drizzle. Alas, many of the gathered folk aren’t here to worship the sun but the light on the screen. Top: The glamour! The glamour! “The Bling Ring” is hella fun. 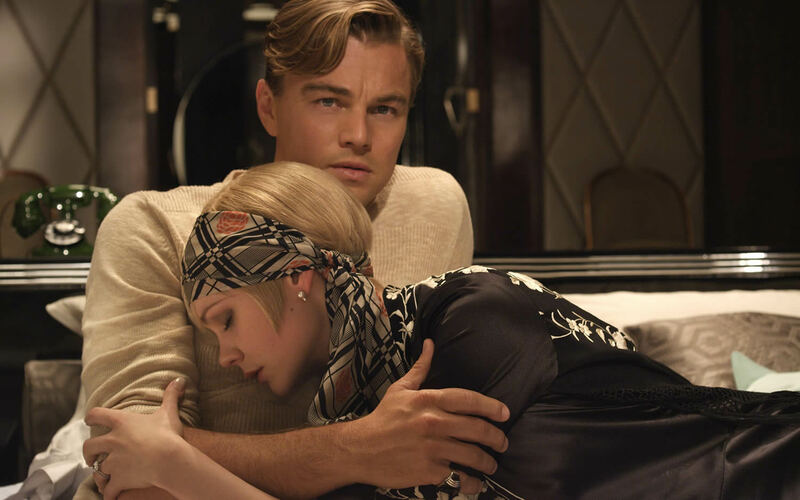 Director Baz Luhrmann brought the classic 1920s novel to glitzy life. 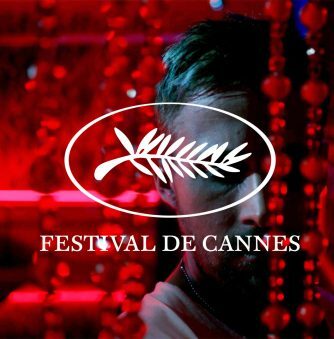 Cannes was launched this year in peculiar fashion with Baz Luhrmann’s adaptation of the F. Scott Fitzgerald’s, “The Great Gatsby.” Already released in the USA and elsewhere by the time the film opened this year’s 66th Festival de Cannes, does it mark alack of ambition and invention from the head honchos? 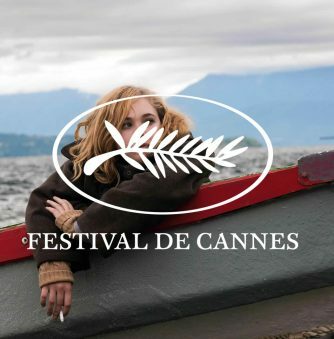 The connection seems to be that F. Scott Fitzgerald wrote Gatsby while holidaying very close to Cannes, and the festival bosses love Baz Luhrmann. Of course the Australian’s latest production flies in the face of subtlety and flips it the bird. 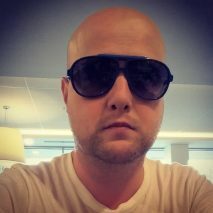 We’ve known for a long time that the director does not know the meaning of a quiet shot or understated moments; his work has now taken on a further pompous grandiosity and unwillingness to deliver anything but an epic or epicness. It reeks of self-importance. The major issue with “The Great Gatsby”—a flawless literary work turned problematic motion picture—is length. This is an affliction that the novel does not suffer. Gatsby (film) is far too long for such a slender tale told. It runs out of steam and oomph mid-way through, and never recovers. As it staggers like a drunk towards the finish and all is pretty much lost. It goes through the motions, and we’re left with little that is profound (unlike the novel). Luhrmann attempts to conceal the lack of true energy by throwing glitter bombs at the audience—in uninspired 3D—and all manner of thrill-ride zooms through heavily CG backdrops. It makes for a poor distraction only buoyed by the committed performances of Leonardo DiCaprio, Carey Mulligan and Joel Edgerton. Is there a more tiresome filmmaker working today than Baz Luhrmann? Don’t answer that. There are other candidates for the pot, but the Australian helmer of spectacular-spectaculars just doesn’t know when enough is enough. He has become a sort of David Lean to the MTV generation (a creakily dated fellow, but an apt one). “The Great Gatsby” film is less a collective orgastic experience and like a dinner party whose guests give a big headache. The inner life and meaning of “The Great Gatsby” cannot simply be replicated for the cinema. It’s too… mysterious. Luhrmann is anything but. Amat Escalante’s tale of life in rural Mexico is shockingly realistic. Amat Escalante’s latest picture “Heli” provoked walkouts and general unease. 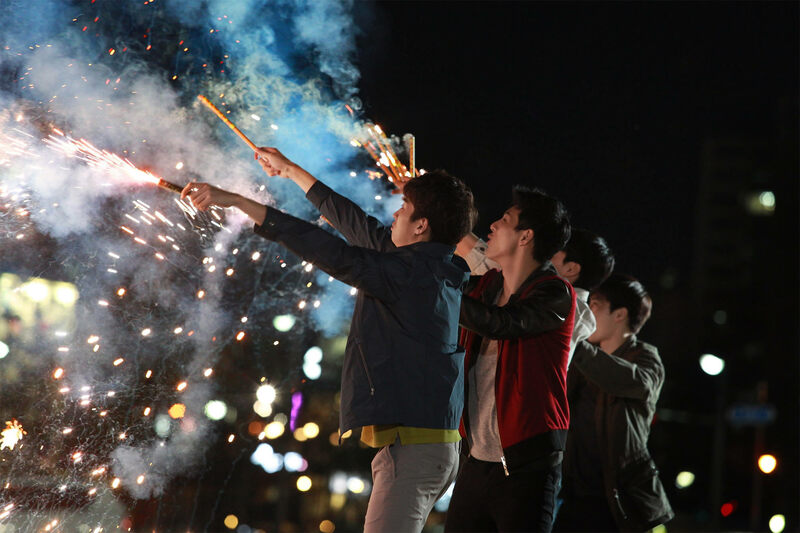 It is the story of a young man taking a morally good but foolish course of action, one which has extreme consequences for him and his family. Here is packed to the rafters with unpleasant imagery, including two scenes of barbaric treatment towards dogs. One is shot point blank and a puppy has its neck snapped by a police officer. We’re also treated to a scene of a teenager having his pubic hair set alight and, in another sequence, being forced to roll in his own vomit. 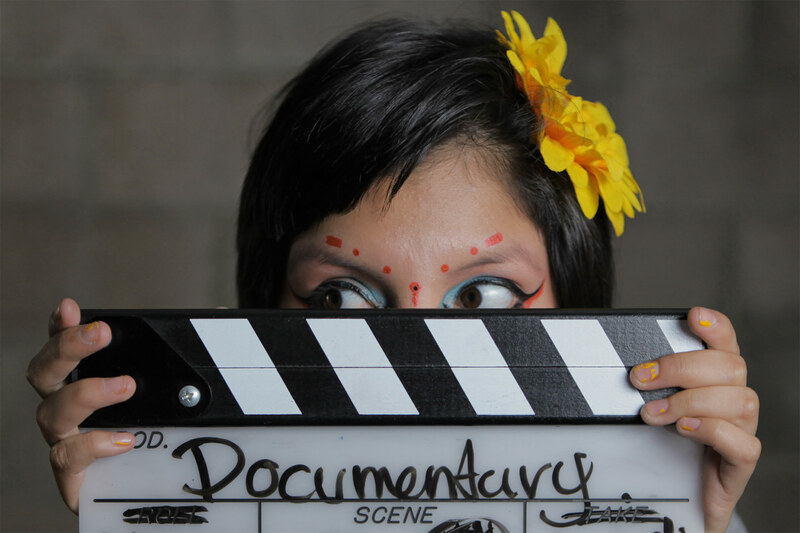 All this unpleasantness is tough to watch, of course, but what is Escalante trying to tell us beyond “bad things happen and not much gets done about it?” There’s the vague whiff of attention-seeking art house posturing going on. Escalante’s Mexico is a land of fatalistic malaise where drug cartels massacre thousands, and headless corpses take pride of place on the prime time news as an everyday occurrence. Innocent people get caught up in the monster’s jaws. 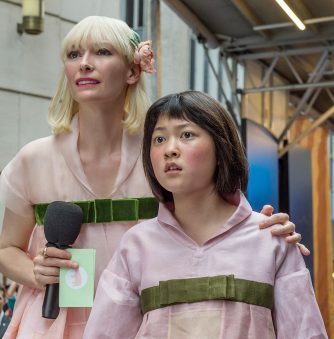 Many critics wondered where this year’s controversy would spring from, given that Lars von Trier and other Les Enfants Terribles are absent from Cannes. Escalanate stepped up to the plate and hit a home run. 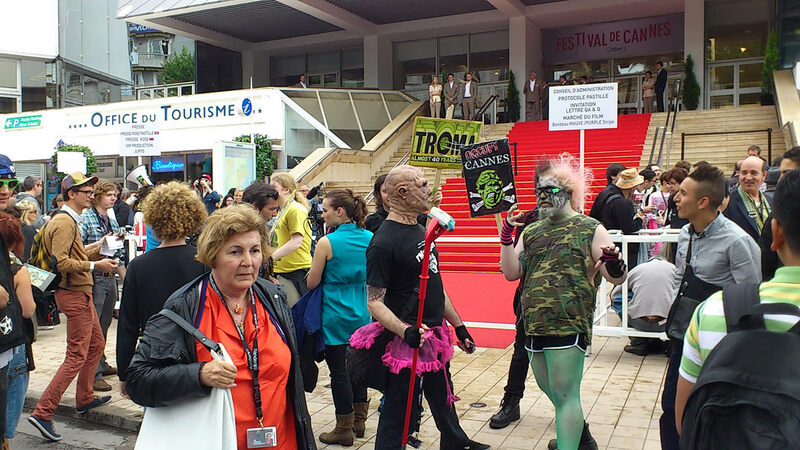 Indie horror outfit, Troma, held an amusing Occupy Cannes demo outside the Grand Palais. The second day began under heavy skies and lashing rain. Then it stopped suddenly and Lloyd Kaufman’s Troma outfit held a weirdy beardy protest, known as Occupy Cannes, outside the Grand Palais people were having a good old time making a nuisance of themselves to the bemusement and occasional interest of other festival-goers. 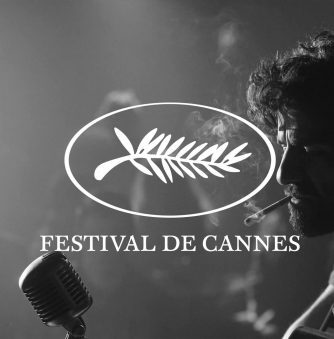 One rotund gentleman with green hair ran naked down the Croisette, and another shouted about independent cinema being destroyed by the big studios. Sofia Coppola’s tale of teenage burglars is one of her best films. Sofia Coppola’s “The Bling Ring” opened this year’s “Un Certain Regard” section. For those who dismiss her work as vacuous and self-obsessed then there’s nothing here that will change one’s mind. (It must be expressed sincerely that I’m not a fan, but willing to give any director a chance.) Lo and behold, it turns out Coppola’s latest movie is genuinely amusing with actress Emma Watson putting in a sterling, no, make that solid gold, performance as a teenage burglar—one of a gang—that once terrorised the Hollywood hills and homes of A- listers. Shot by the late Harris Savides, who gets a dedicated even before the super-charged and funky title sequence roars to life, “The Bling Ring” is about taking celebrity obsession to entirely new heights. Not only do followers want to know the ins and outs of their fave celebs life—but these kids break into their homes. Supreme narcissism is not the reserve of the rich and famous. “I want to rob,” says one character in a beguiling statement of intent that could also become a “new cool” slogan. “The Bling Ring” is hella fun, chill, dope, sick and all the other buzz words the charmingly idiotic leads use. Coppola continues to find a place in the filmmaking world beneath the shadow of her mighty father, but she has demonstrated that maybe there’s an ounce of talent lurking within her too. 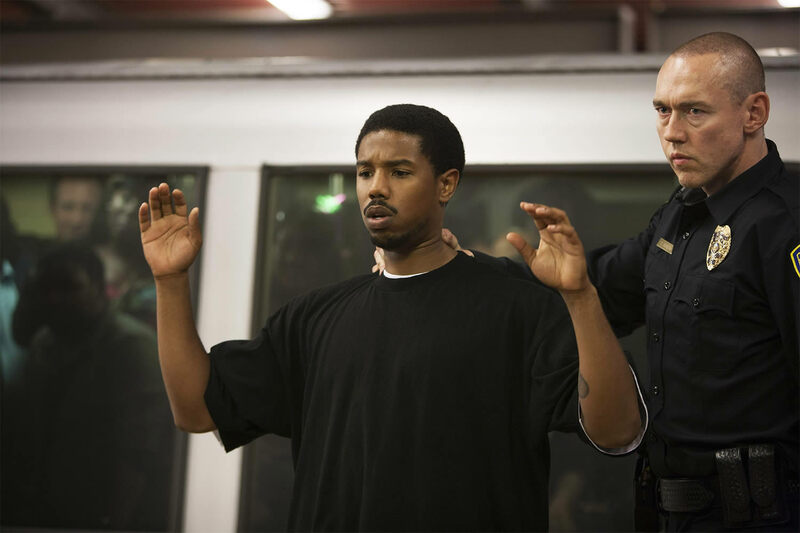 Michael B. Jordan puts in an excellent performance as doomed Oscar Grant. “Fruitvale Station” was the second feature of the day and based on the real-life tale of police brutality in Oakland, California. Oscar, a twenty-two year old male, was shot by the police on a train platform after an altercation. Ryan Cooglar’s film is worthy and preachy and underwhelming despite based on a terrible incident. The restoration of a French New Wave masterpiece premiered at Cannes. And last but definitely not least, Jacques Demy’s magnificent tale of doomed love, “The Umbrellas of Cherbourg,” screened in the “Cannes Classics” slot on a suitably rainy Thursday evening. In attendance was Michel Legrand (who got a standing ovation), Cannes Juror Christoph Waltz who was there purely for the pleasure of the movie and along with Demy’s widow Agnes Varda, looking frail and with a rather jazzy haircut, and son Mathieu Demy, an actor and film-maker too. (Do check out his debut, “Americano,” it’s very good.) The restoration of The “Umbrellas of Cherbour”g is a sparkling beauty (like star Catherine Deneuve), and it shines brightly off the screen (especially given the new restoration). What else is there to possibly say? It is the cinematic equivalent of luxurious confectionery. The evening was made of pure joy.